After saying for months that Robert Griffin III was his quarterback, Washington coach Jay Gruden reversed course today, saying that Cousins is the starter — and will remain the starter, meaning Griffin has no chance to unseat him. 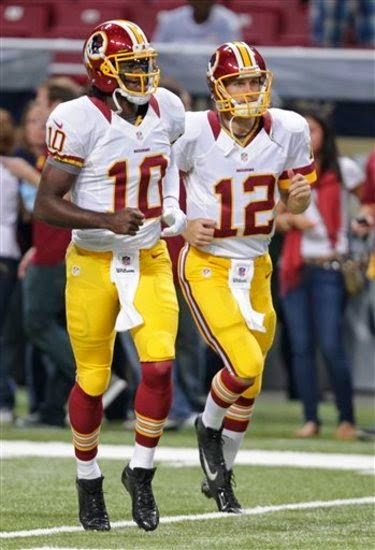 Of course, Gruden has changed his mind about his starting quarterback several times during his year and a half as Washington’s coach, so no one should be surprised if either Griffin or Colt McCoy ends up starting at some point. Gruden insisted that he thinks he has three good quarterbacks. Amid talk that owner Dan Snyder was pushing for the team to keep Griffin while the football people wanted to move on, Gruden said that starting Cousins is his call, but Snyder has always supported his calls. Gruden said the team does not plan to release Griffin, has he has not decided whether Griffin will be the second-string quarterback, or whether McCoy will be second and Griffin third. All he’ll say for sure is that Cousins is the starter, and will remain the starter. The Pittsburgh Steelers needed some insurance at quarterback, and Michael Vick needed a job. The two sides came together after they met Tuesday morning for a physical, as Vick signed a one-year deal, the team announced. In a corresponding move, Bruce Gradkowski was placed on injured reserve after suffering a finger injury in the preseason game on Saturday against the Green Bay Packers. All that was left behind Ben Roethlisberger at quarterback was Landry Jones, who has struggled thus far in the preseason. Vick, who turned 35 this summer, spent last season with the New York Jets and completed 64-of-121 passes for 604 yards with three TDs and two INTs in 10 games (three starts). He also rushed for 153 yards on 26 carries (5.9 average) with no touchdowns. Roethlisberger said Tuesday he'd be fine with Vick as a teammate even though Big Ben is a big dog advocate. Vick's dog-fighting past might have been years ago, but he still riles up some fans whenever his name is brought up. If Washington’s quarterback depth chart were determined by on-field performance, Robert Griffin III would be firmly entrenched at third string. Although coach Jay Gruden insisted after Thursday’s preseason game against the Lions that Griffin will remain the starter, that game showed once again what we’ve seen throughout Gruden’s tenure as Washington’s coach: Colt McCoy and Kirk Cousins are simply playing better football than Griffin. So far this preseason, McCoy has a 131.6 passer rating and has led Washington’s offense on three touchdown drives. Cousins has a 118.3 passer rating and has also led Washington’s offense on three touchdown drives. Griffin has a 54.6 passer rating, and Washington has yet to score a touchdown with Griffin on the field. You can argue that the preseason is too small a sample size to draw any conclusions, and that Griffin is playing against better defensive players than Cousins and McCoy are. But Griffin’s sub-par performance goes beyond just this year’s preseason. Last year Griffin started seven games, Cousins started five and McCoy started four. Washington wasn’t a particularly good team no matter who was starting, but according to ESPN’s QBR system, which combines both statistics and film study into one number on a 0-100 scale, Griffin was easily the worst of the three. McCoy had a 46.9 QBR, Cousins had a 46.5 QBR and Griffin had a 33.5 QBR. The Football Outsiders DVOA system, which uses play-by-play data to assess quarterbacks, similarly had Griffin as by far the worst of Washington’s three quarterbacks. Given all that, it’s surprising that Gruden is so adamant that Griffin will continue to start. Perhaps Gruden is still intrigued by the great promise Griffin showed in his rookie season. Perhaps Dan Snyder has told Gruden to give Griffin a chance. Perhaps Gruden just doesn’t think McCoy and Cousins are legitimate NFL starters. But at some point, on-field results have to matter. And Griffin simply isn’t getting results. 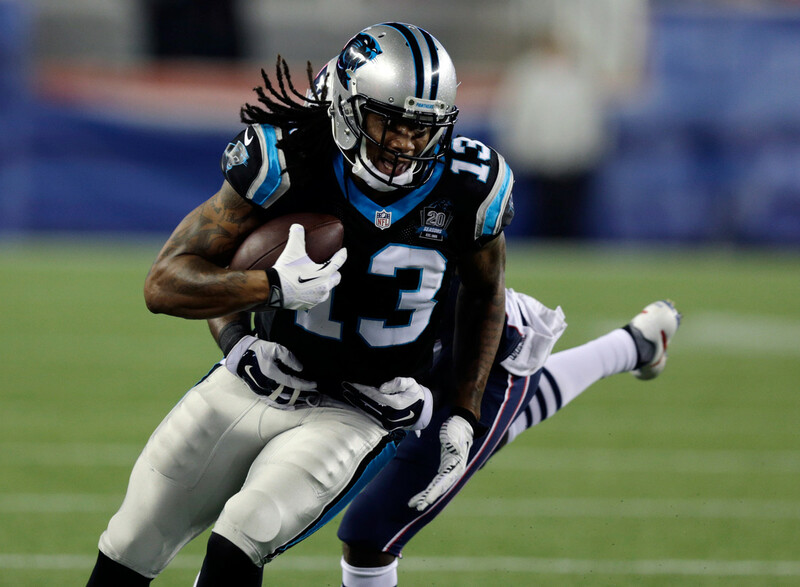 An MRI has confirmed the worst fears of the Panthers after wide receiver Kelvin Benjamin was carted off the practice field today. Benjamin has torn his ACL, Ian Rapoport of NFL Network first reported and the Panthers have now confirmed. After a great rookie season, Benjamin will now have surgery and miss his second NFL season. Benjamin made a cut on a pass route and crumpled to the ground without anyone touching him, immediately grabbing his knee. It didn’t look good, and although Panthers coach Ron Rivera said after practice that he was hoping it was just a sprain, that turned out not to be the case. Last year Benjamin had 73 catches for 1,008 yards and nine touchdowns, and the Panthers were hoping for at least that much production again this year. Instead, it’s back to the drawing board for the Panthers, who will have to hope someone can emerge as an effective No. 1 receiver while Benjamin sits out. The Panthers and their fans are currently holding their breath regarding the question of whether receiver Kelvin Benjamin will be available to play in 2015 after a non-contact knee injury raises the obvious fear that he could be done for the year. If Benjamin ends up missing any significant time, what will the Panthers’ options be? They can go next man up, keeping a guy who otherwise would have been cut and hoping for the best. If they choose to bring in an established veteran, the biggest name on the market belongs to former Colts receiver Reggie Wayne. Regardless of what they do, a drop off will exist from Benjamin to whoever takes his place, making it harder for the Panthers to get back to the postseason for a third straight year. So the best move at this point could be for the team and its fans to keep holding their breath pending the outcome of Benjamin’s MRI. The Tim Tebow Experience Sunday was capped off by a touchdown run. But we already knew he could run. 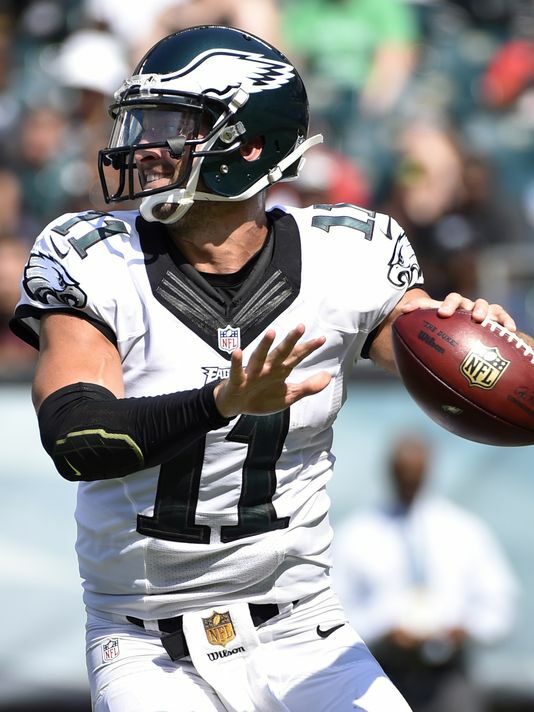 Eagles coach Chip Kelly said he was impressed by the less-heralded aspect of his fourth-string quarterback’s game, after Tebow’s preseason debut included completing 6-of-12 passes for 69 yards. Throwing the reserve receivers under the bus in the process, it was what passes for a solid endorsement of the national curiosity, who Kelly seems determined to find a role for despite saying he’s not going to be a “gadget” player. Aside from the receivers, Tebow was also forced to run more often than Matt Barkley, as the Eagles offensive line which took the field in the second half put him in peril more often than not. That might sum up his career in a nutshell, and we saw hints of both sides yesterday. He spent the offseason working to remake his passing delivery, and on a few occasions, it appeared more fluid than it had in the past. And at other times, he missed receivers badly. So it appears the experiment will continue, but he seems to have found a patron willing to give him time to work on it. 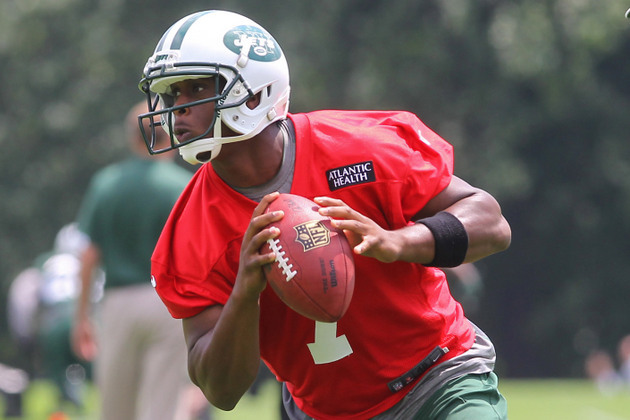 IK Enemkpali did more than knock Geno Smith out of the lineup, sending him straight to the operating room. According to Josina Anderson of ESPN, Smith has chosen to have surgery to repair his broken jaw after getting a second opinion. While I’m neither a lawyer nor a jaw surgeon, the fact Smith needs a surgical repair only strengthens the notion that the legal authorities need to step in here, whether the NFL does or not, or whether someone thought he deserved it or not. 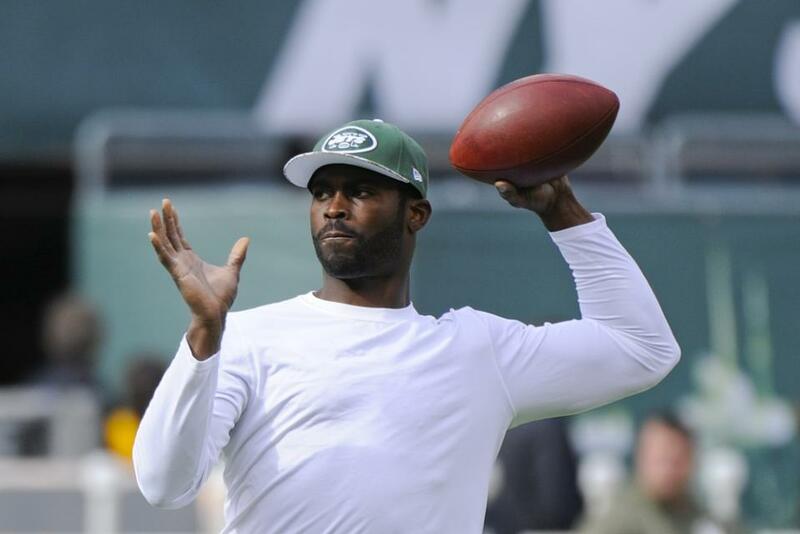 Smith will be out six to 10 weeks following surgery, and its unclear if he’ll have a chance to regain the Jets starting quarterback job at that point or not. Meanwhile, Enemkpali has joined the Bills after being claimed on waivers. Earlier today, multiple reports (including ours) indicated that the Seahawks cut defensive tackle Tony McDaniel for cap purposes following the signing of quarterback Russell Wilson and linebacker Bobby Wagner to new contracts. 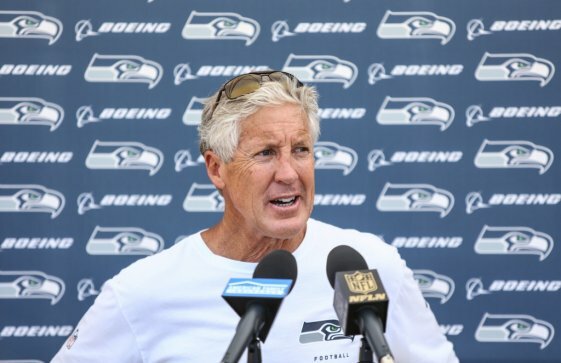 In discussing the move with the media on Sunday, coach Pete Carroll said nothing to dispute that. With McDaniel gone, Carroll mentioned several guys who have an opportunity to step up in his absence. For Carroll and the Seahawks, competition has always been the key. As more and more players who have competed at a high level reap the rewards, others who have competed well will be moving on, opening more chances for others to compete. It’s a delicate balance that becomes no easier to strike when two key players go from making six figures to making eight figures.